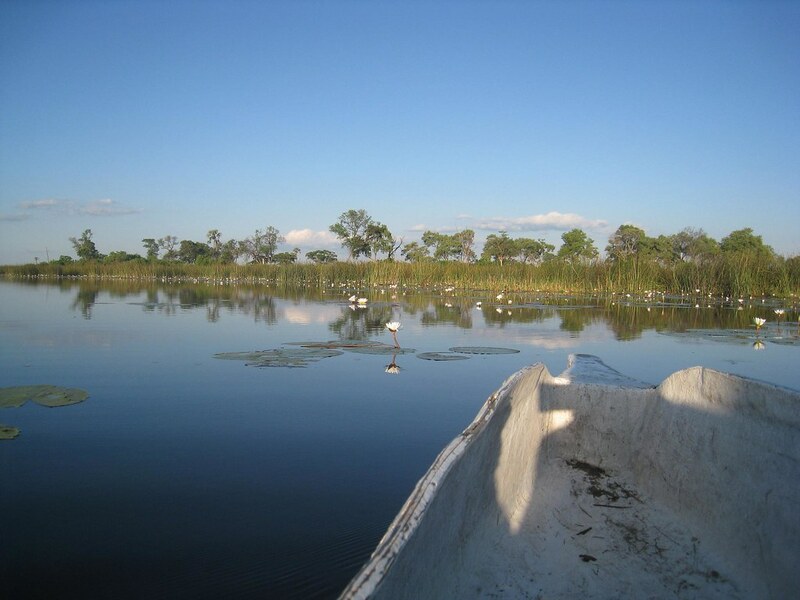 Botswana's Okavango Delta is the world's largest inland delta. 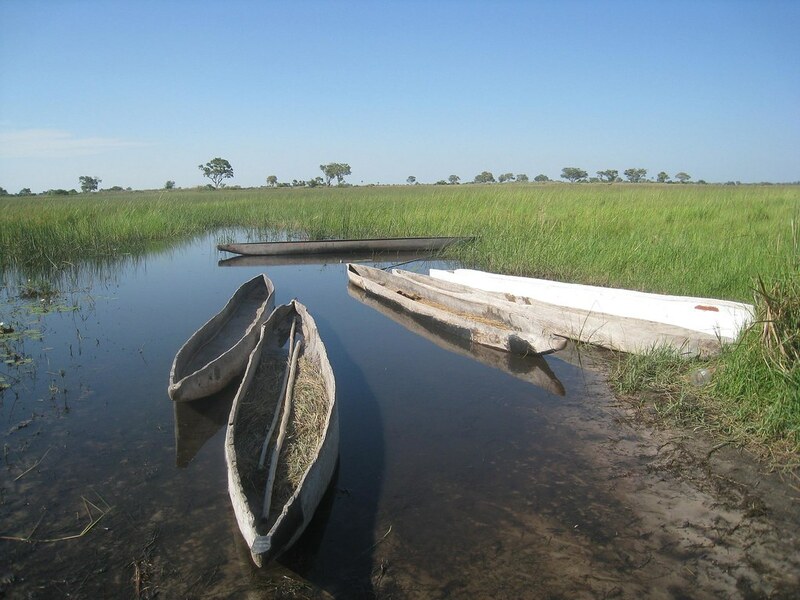 Traditional wooden canoes, called mokoros, are used as a means to travel from the mainland to the various islands within the Delta. They can hold 3-4 people apiece. And unless you want to go for a swim, it's best not to move around much while you're on the water. During my 3-day camping trip in the Delta, I had the chance to play around with one. 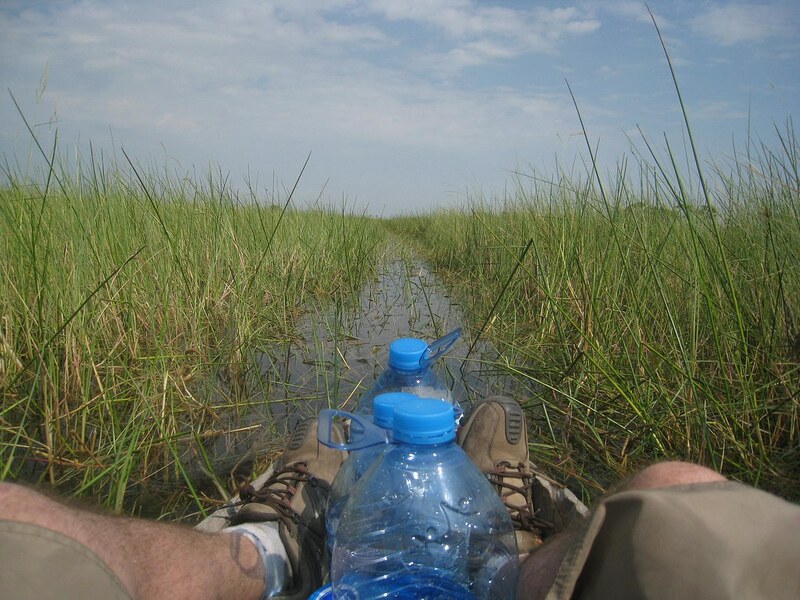 Pushing the mokoros by pole, and steering them through narrow, weed-free paths is not an easy task. 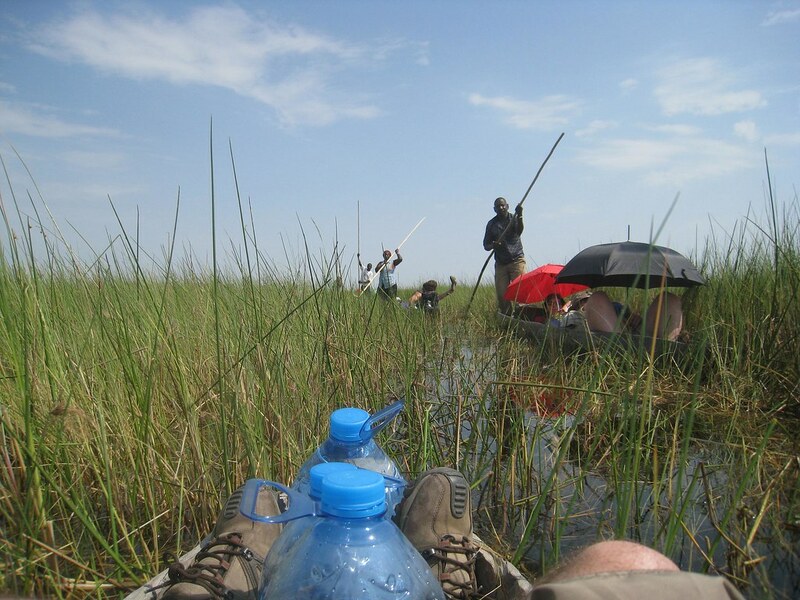 Luckily, we had local guides to help, allowing us to sit back, relax, and enjoy the scenery. 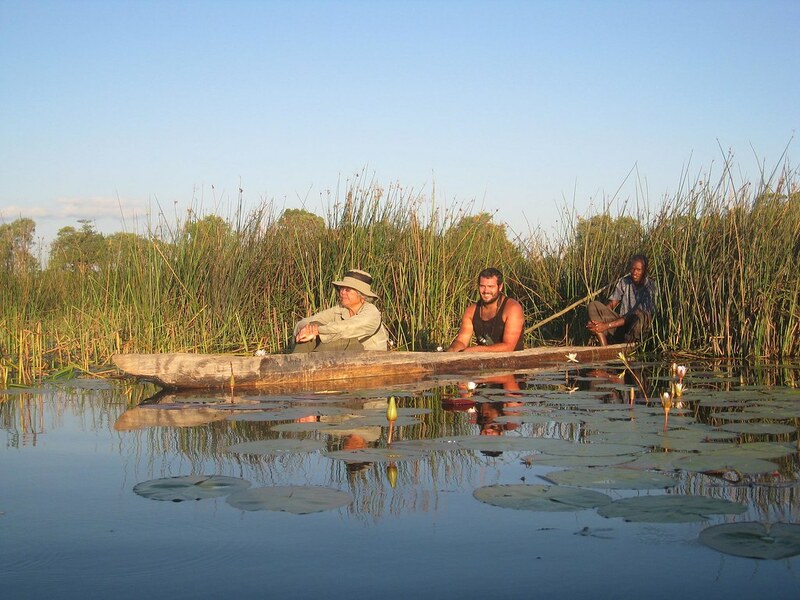 Entering the Okavango Delta by mokoro (traditional canoe). To avoid prolonged exposure to the intense sun, some visitors use umbrellas. Wooden mokoros "docked" near our campsite. Shuttling to another island in the pre-dawn light. Enjoying the quiet tranquility of the Delta. 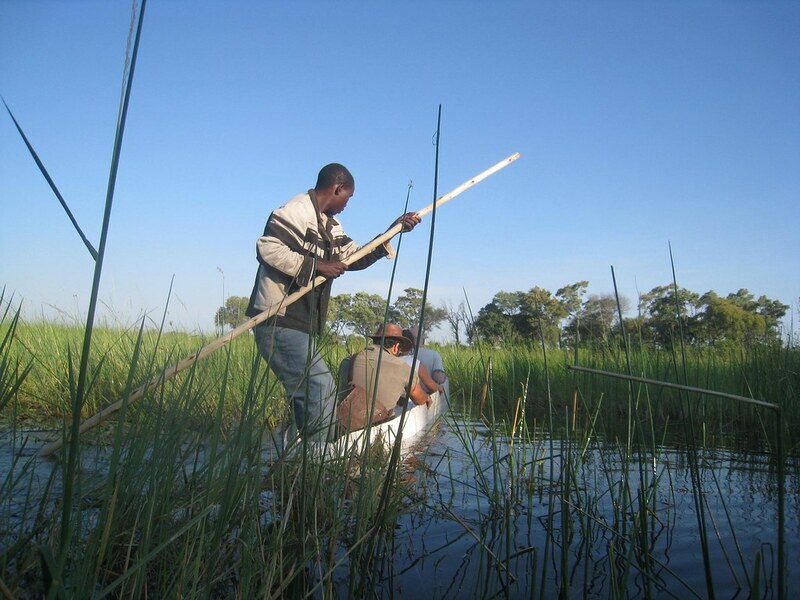 Mokoros are pushed through the shallow water using long poles. 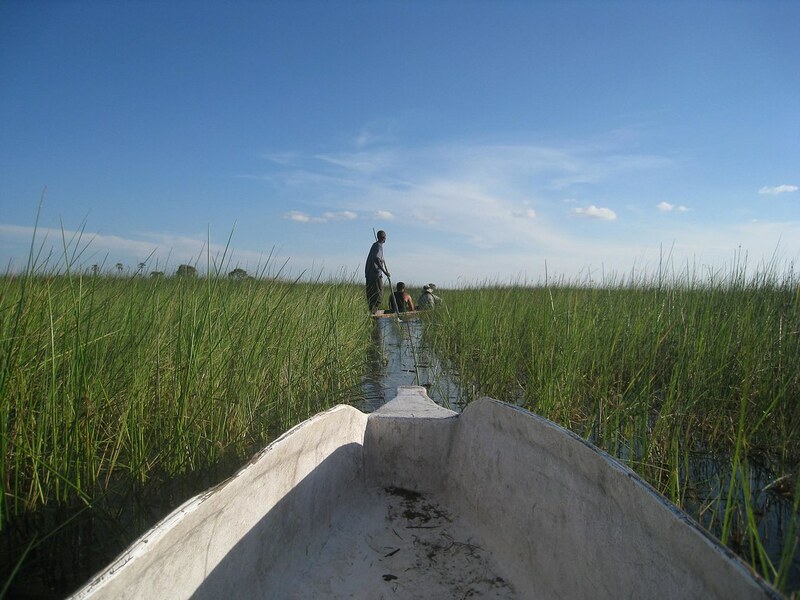 Steering mokoros through thick weeds isn't always an easy affair. 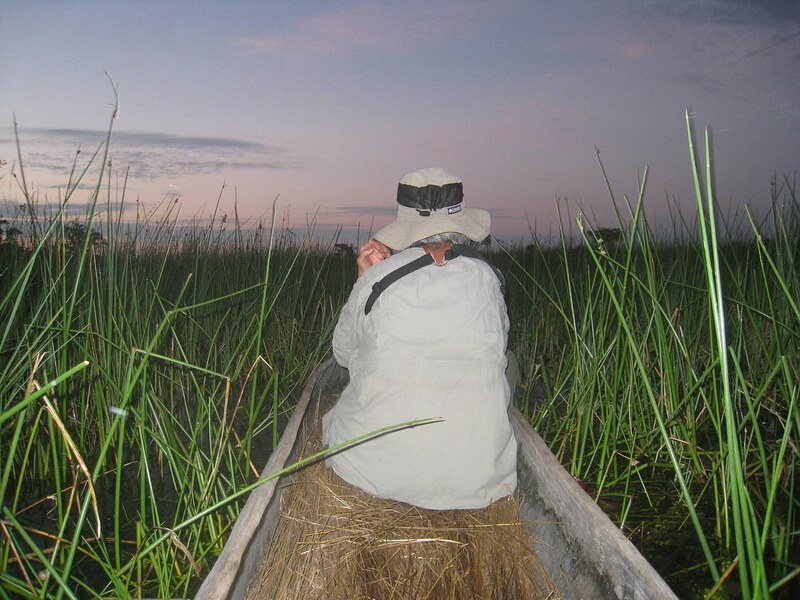 Hoping to spot hippos from our mokoros as the sun sets over the Delta. Awesome pictures! Looks like your trip was a really unique experience. Thanks for sharing!